The party opposes land expropriation without compensation and the amendment of section 25 of the constitution. The Congress of the People, a party that once threatened to become a major political threat to the ruling ANC, will remain on the margins of the South African politics with no chance of growing, says a political analyst. Political analyst Somadoda Fikeni said Cope has decided to appeal to whites because it has lost its black support base. The party wants funding from the rich white, especially the conservative Afrikaner voters, who would vote for it because they believe Cope leader, Mosiuoa Lekota, was ventilating their interests. At its manifesto launch held at the Orient Theatre in East London in the Eastern Cape on Saturday, party president Lekota said Cope did not support black economic empowerment and affirmative action, because these were reverse [forms of] apartheid. Once it came to power, Cope would do away with racial quotas in sport. He said the party opposed land expropriation without compensation and the amendment of section 25 of the constitution that would allow for the policy to be implemented. “We cannot tear our communities apart when it comes to land reform,” Lekota said. While Cope supported land redistribution, the land must be given to those who would work it, and it must be used for the purpose it was intended. “The ANC has not asked people about the purpose for which they needed the land. 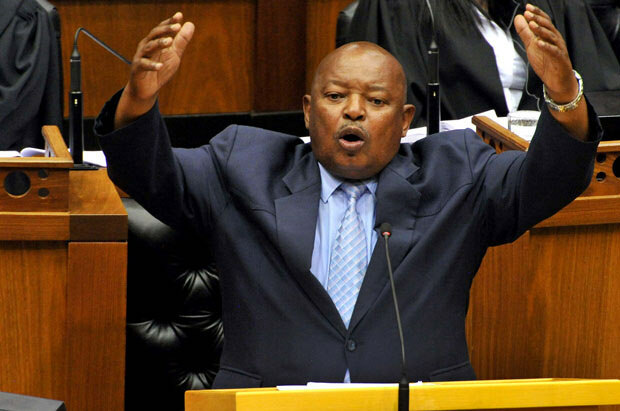 […] You need to give land to those who will work it,” Lekota said. He said Cope was opposed to the current system of child support grants to young women. Instead, Cope would encourage all teenagers to go back to school, work and develop economically.